摘要 本文简单介绍了RSS及其在虚拟参考咨询系统中应用的背景，提出了RSS技术在这个系统中的实施范围、系统结构，分析了具体的数据流程，并以“我的咨询台”为例讨论了虚拟参考咨询系统中RSS功能的具体实现。 Based on a simple description of RSS and the background of its application in the virtual reference system, this paper introduces the application range and the system structure of RSS technology in this system, and analyzes its data flow. Finally, the paper uses ＂My reference desk＂ as an example to discuss the realization of RSS technology in the virtual reference system. 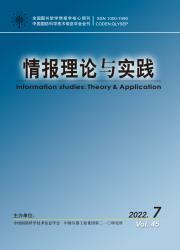 作者 黄春毅 周建芳 Huang Chunyi et al.